Every business shares a common goal – to survive, grow and prosper. In today’s fast-track competitive world, businesses large and small must turn to new measures in order to evolve, grow or simply stay afloat. Ecommerce website development can offer growth opportunities of enormous proportion for businesses from all sectors. This is mostly due to the advent of highly improved and user friendly web services (Ed’s note: services like our favorite, Magento) available across the web that have literally carved a place in the hearts of online users. As an online business owner, the employment of technological advances in e-Commerce website design can mean the difference between the success and failure of your business objectives. Accordingly, it is important to understand exactly what an ecommerce website is and how to get started with one. Basically, an ecommerce website is a virtual representation of your physical business. Interestingly, most business owners grow to learn that the biggest difference between an ecommerce website and a brick-and-mortar business is the advantages of the former. Carrying out your business through a brick and mortar business can be a complicated process. 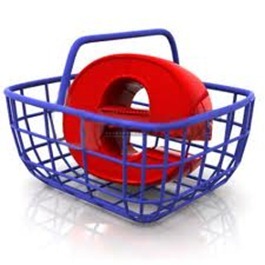 In dealing with an e-commerce website, the complications are nearly eliminated entirely. As the owner of the business, you gain access to a highly effective medium for illustrating the company’s products and services. As the consumer, you can enjoy the benefits of easy payment transactions such as those through PayPal, an online currency application. Consumers also tend to find that ecommerce websites are highly convenient as they bring the entire buying process down to the click of a mouse. In the end, an e-commerce website will prove to smoothen and fast-track traditional methods of carrying out your business. Despite these differences between ecommerce websites and traditional businesses, a few key fundamentals remain the same. Complete legal documents and papers are still required to launch an ecommerce site as well as a registered name for your business and a resale license. Additional fundamentals to consider include record maintenance, book keeping, and equal employment opportunities should you decide to hire someone to help with the business. Obviously, just like a traditional business, your online business should send a clear and concise message to your target audience. Be sure to explain what stands you apart from the competition and always advertise your products and services in a meaningful way. Do your best to grab the user’s attention and hold it until a transaction is complete. Unfortunately, many website owners struggle with attention-grabbing and other methods of Internet marketing and website design. This is the reason why it is so important to consider hiring a web design company to take on your e-commerce project. The good news is that there are many professional developers available that provide outstanding services for affordable prices. Author Bio: Akesh Gupta is the President and co-founder of Light Speed Solutions, a software development and consulting company specializing in building custom complex data-driven web applications (Webware), from initial design through delivery and beyond. I really like this post. I’m a fellow businessman and I just started my very own 24-hour convenience store(24 hours with Chandra). It’s not much yet but I’m hoping that it will survive the competition and in the process, grow into something bigger. I’ve recently been looking into all kinds of blogs in the hopes of getting helpful ideas and hints as to how I will be able to improve my business. If it’s not too much to ask, what would be a good way to go about spreading my online presence? Any idea will be very much appreciated. Thanks! Hi Chandra. Nice to see a fellow businessman is on-board. There’s quite a lot of option here for you with regards to spreading an online presence, but as always there are pros and cons to everything. To cut to the chase, hiring a web design company is your best ticket to going mainstream. Getting a good web designer for you to be able to market and advertise your goods online in an attractive way need not be expensive. You just need to know where to look. (Hint* you are looking at one right now*) Ciao! Best of luck! “Fundamentals remain the same” – no matter whether your business is a brick and mortar or and online business. Some folks ned help getting started online becasue they don’t know who to turn to when they have questions. I’m currently looking for ways on how to make money online. I’m thinking if I will just create my own online business or I will do online advertising for other companies. Now that I have read this post, I think I will go on creating my own since online business is trending these past few months.